Dramatic playoff hockey, incredible playoff basketball, markets hitting new highs (again) and the new Star Wars cast announced. It looks like May is bringing more drama than it is flowers. As we round the corner into May, the drama among discount brokerages continues to unfold, albeit with less flare than the heart pounding finishes from both the Habs & Raptors. In this week’s roundup we launch into May with a new set of deals and information on investor education events; we report in on the always interesting trading metrics and activity of investors stateside; we take a quick peek at another ranking of Canadian brokerages and we close off the week with some discount brokerage encounters for the far edge of the internet. Here in the SparxTrading camp, the beginning of the month signals a time for a new overview of discount brokerage deals and promotions. This month the deal landscape looked much the same as it did in April. With one new deal announced as we come into May, it appears that discount brokerages are digging in until June with their core offers. The only new deal to announce was from BMO InvestorLine. Click the following link to learn more about the discount brokerage deals for May 2014. And, if history is any indicator, there ‘may’ still be some deals coming down the wire. On the educational front, it appears Canadian discount brokerages are upping the ante for their focus on providing education and support to clients looking to learn more about investing. This past week TD Direct Investing held a 45 minute webinar covering its web-broker platform that reportedly had over 10,000 registrations (they didn’t mention how many actually logged in) – an enormous number for any kind of education focused event online or offline. TD Direct Investing has recently added webinars to their mix of educational offerings, scheduling the online events on the last Wednesday of every 2nd month (the next one will be June 25th 2014). In addition to the brokerage-sponsored education events, investors will probably want to take note of the Small Cap Conference coming up in Vancouver next week and also the CambridgeHouse International Investor Conference in early June – both of which will offer some opportunities to learn more about investing. Check out our investor education events calendar for more details on what’s being offered where & when. This past week, Interactive Brokers released their trading metrics for the month of April and depending on the frame of reference there is either reason for applause or reason to pause. When compared to the same point last year, Interactive Brokers trading volumes look stunning – 20% higher Daily Average Revenue Trades (DARTs), margin loans 34% higher than last year and the number of customer accounts 16% higher. On a monthly basis, however, the gains are more modest for margin loans and customer accounts (2% improvement), and there was a 1% dip in DARTs. Additional coverage in this article from CNN also reconfirms the signals from other brokerages that retail investors are stepping back into the market. Veterans of the market understand that having more investors in the market means a good run for a while but also the likelihood of getting close to a top. Interestingly the impact that the returning retail investor may have on the deals and promotions is that brokerages may not have to aggressively price promotions – choosing instead to focus on other features to attract and retain new customers. As part of their June issue, MoneySense teamed up with financial analysis firm Surviscor to provide their annual “Best Canadian Discount Brokerage” checkup. Author Dan Bortolotti walks through the Surviscor results while providing insights across different metrics like ease of use, banking integration, customer service, fees & commissions, reporting & record keeping and market intelligence. Interestingly, the paradox of the ‘best discount brokerage’ shows up here in two ways. First, there are so many ‘bests’ across different categories that it’s difficult to proclaim unequivocally that one brokerage is ultimately the best. What is ‘best’ for one investor may not be for another. Second, the data used to assess brokerages relies on history to infer quality about the present and/or future. While that’s usually what anyone has to go on, it has been our observation when looking back at the historical analyses of the best discount brokerage rankings from years past (whether quarterly or semi-annually) who get’s crowned ‘the best’ changes quite often. In other words, pricing, features and service quality are constantly changing so titles such as ‘the best discount brokerage’ have a short shelf life in such a competitive space. Nonetheless, Bortolotti and Surviscor offered their ‘top picks’ overall as BMO InvestorLine and Scotia iTrade, with honorable mentions going to RBC Direct Investing and Qtrade Investor. This week we thought we’d do something a bit different and venture out to the far reaches of the internet onto Reddit to find out what folks were saying about Canadian discount brokerages. In this post from the Canadian personal finance section, readers chime in on BMO InvestorLine and how it stacks up to some of its competitors. As fair warning though, Reddit can be quit the wild arena for discussion and oddities so take the comments with a grain of salt. That does it for this week’s roundup. 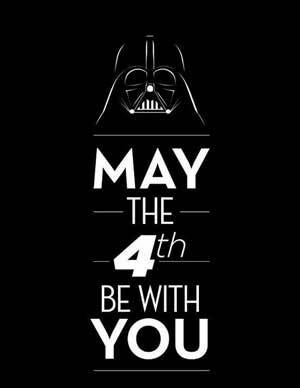 With a full dance card of thrilling events this weekend, good luck to the Habs & Raptors – May the Fourth be With You.